Fauquier wrestling team came together On Monday, March 14th to hand out the 2015-16 team awards at the winter sports recognition program. As the MVP award for all Fauquier winter sport teams were issued in the main gym, teams then split off into different groups to hand out its additional awards. Below are the awards and wrestlers that were honored. The BoPWC will be hosting weekly wrestling practice every Tue. and Thur. from 4:30-6:30pm in Fauquier wrestling room starting on March 8th and ending the last Thursday in October. 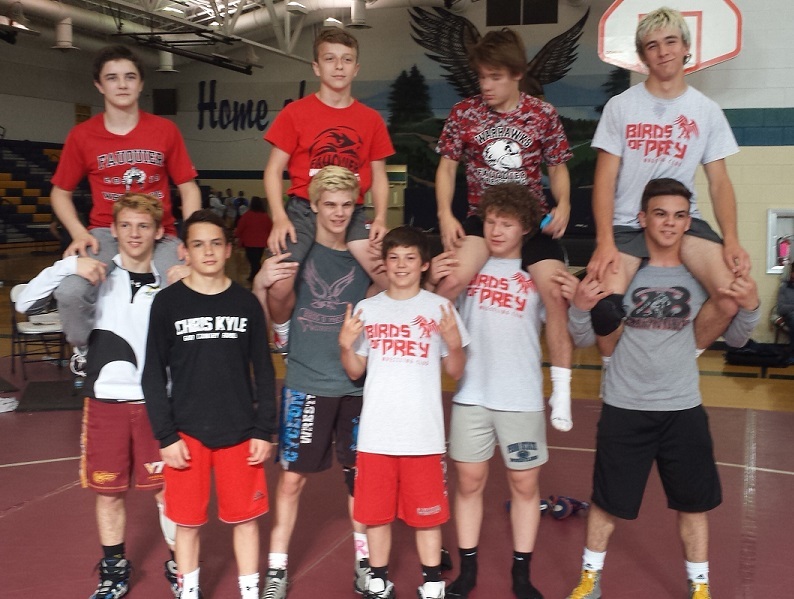 The Birds O’ Prey Wrestling Club is an official USA Wrestling Sanctioned Wrestling Club that provides off-season training and competition opportunities for current 7th – 12th graders - Middle schoolers in our program are welcome (6th graders on an approved exception basis). Wildwood, NJ. 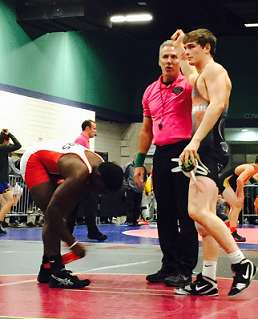 2/5, 6, 7/2016 – Sam Fisher competed at the Atlantic Coast Wrestling National Duals this past weekend where he went 10-0. Hosted at the Wildwoods Convention Center - Nearly 1300 of the best grade school wrestlers in the country once again came to the Wildwoods Convention Center with their teams to battle for a team championship. Sam Fisher was on the Northern Virginia's Bandits Team as he and one of his teammates, Sam Kilmer, were the only ones to go undefeated for team Bandits. 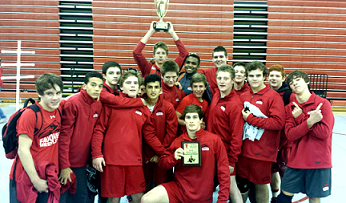 On Friday, Jan 15 and Saturday, Jan. 16 Fauquier went 5 and 1 in the Evergreen District Duals. Team Fauquier had a very close match with #5 ranked Eastern View on the first day of wrestling. The Falcons lead Eastern View throughout the entire match with a lead of 28-27 going into the final bout - but fell short to hold on. This match lasted well over 2 hours with many very close bouts. Team ended Day 1 by going 2-1. Fauquier then bounced back on the second day to win 3 straight matches. Three wrestlers went undefeated for the Duals - 113 lbs Kyle Budd, 160 lbs Garrett Tingen, and 170 lbs Clifford Harrison. On Mon., Dec. 28th and Tues., Dec. 29th the Fauquier Wrestling team travelled to Maryland for the 12th Annual Mount Mat Madness 25 wrestling team tournament as the Falcons ended in 9th place with 5 wrestlers placing. This was a double elimination tournament placing wrestlers into individual brackets and advanced forward through the champion rounds as they won. What’s Next: The Falcons will look to hit the mat the beginning of 2016 on Saturday Jan. 2nd for the Conference Duals host by the Fauquier. This will be a dual team event. 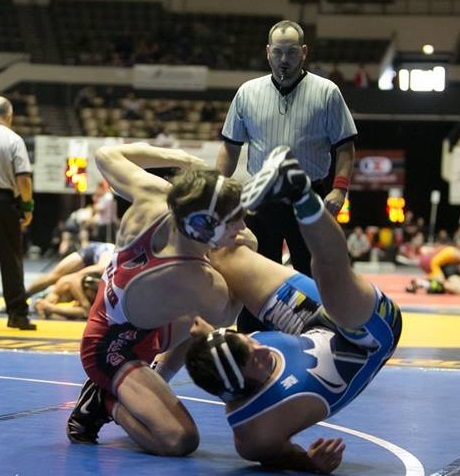 Look for team Fauquier to hit the mat again on Monday, Dec. 28th at Mount Mat Madness in Mt. St. Joes, Maryland. Garrett Tingen earns 5th place by winning his 5th placement match 11-2 major decision over Austin Hiles (Brecksville). 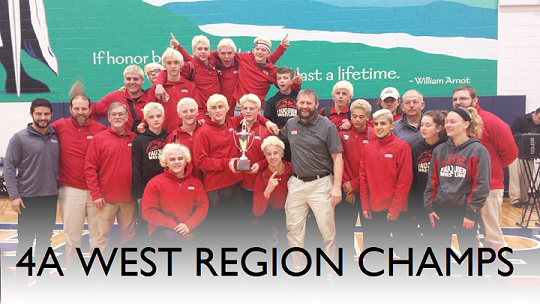 This is the first time since 2008 where team Fauquier has earned placement at the Beast of the East. Great Job Garrett. Other notables: 113 Kyle Budd, 152 Franco Camarca, 182 Clifford Harrison all went 2 and 2. 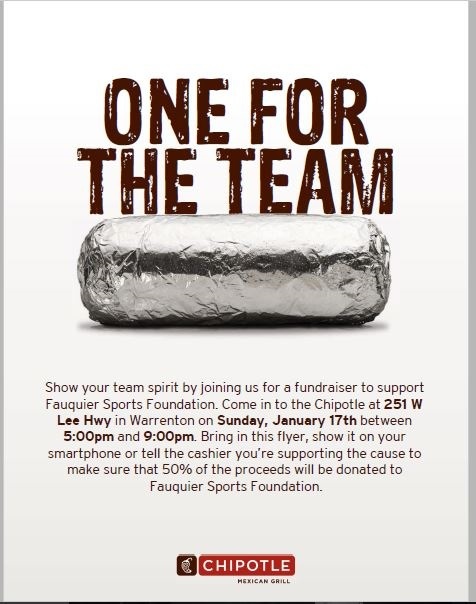 Also, please note that the Chipotle fundraiser has been rescheduled for Sunday, January 17, 2016. On Monday, November 23, 2015, the Fauquier Wrestling Club will be hosting Spirit Day at Chick-fil-A in Warrenton. Stop in anytime, mention this fundraiser, and Chick-fil-A will donate 20% of the proceeds to the club. 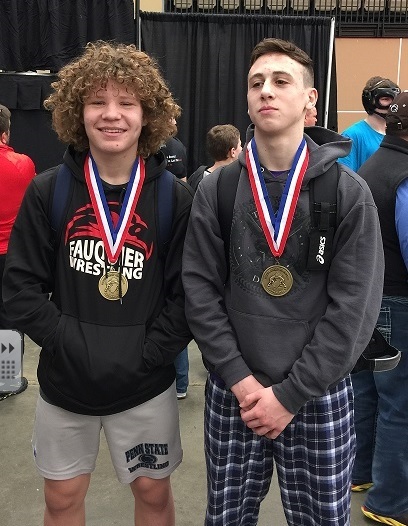 Team Fauquier took eight wrestlers to compete in North Carolina at Greensboro Coliseum Special Events Center, for the Super 32 Challenge better known as the BATTLE FOR THE BELT on Oct. 31 through Nov. 1. One of the biggest National pre-season Tournament on the east coast as the event ran 27 mats on the floor while most weight classes were filled with 128 to 160 kids in each weight classes. Garrett Tingen was the stand out for the Falcons as he rolled out 5 wins and earned 5 pins at this event in North Carolina. Although he fell short from placing in the High School division Sam Fisher earned 5th place in the Middle School division by posting a 1-2 record. Other Fauquier wrestlers who participated in the event where Joe DelGallo, Ethan Jordan, Kyle Roche, Ty Foster, Camden Franklin, and Caleb Strum who all competed in this wrestling event as well. The Fauquier Sports Foundation is once again selling poinsettias and wreaths for the upcoming Holiday season. 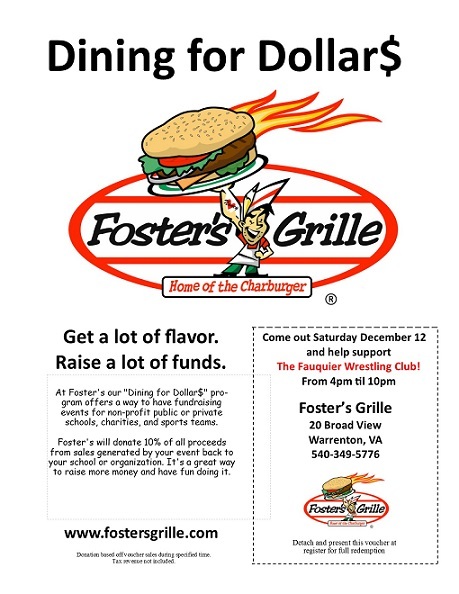 This is a great way to help support Fauquier Wrestling and also provide beautiful gifts for friends and family. The poinsettias and wreaths, grown by Meadows Farms, are gorgeous, high quality plants, and they stay will fresh and last a long time. Order deadline is November 13, 2015. 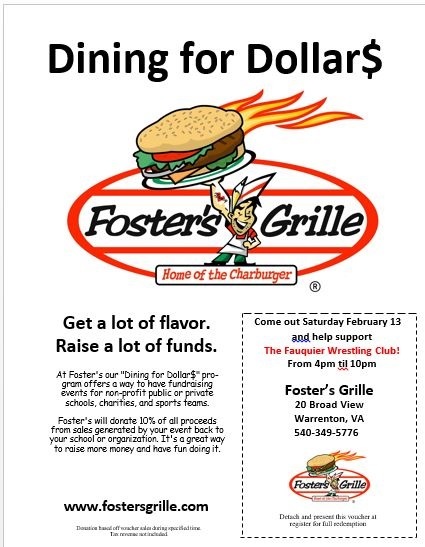 Thanks for supporting Fauquier Wrestling! 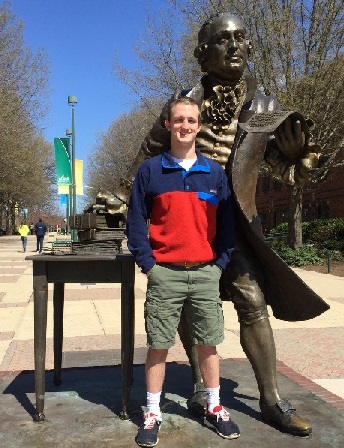 George Mason Univ. wrestling team named three wrestlers to serve as team captains, as Fauquier alum Greg Flournoy a 2011 graduate is selected to take on this roll for the 2014-15 campaign. This marks the first time that any Fauquier Wrestler alum has been appointed a team caption to any college wrestling program. A three year starter last season Flournoy was able to earn a berth to the NCAA tournament joining Chris Moon from Virginia Tech as the only Falcons to participate in this D1 national tournament. Flournoy ended up going 1-2 in the 2015 National Tournament. 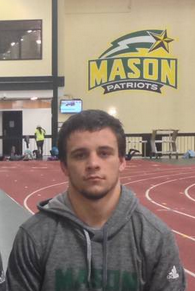 During the 2014-15 season Flournoy posted a 28-12 record which was the most wins for the Patriots wrestling team. He also had an RPI national ranking of 25th. Flournoy currently stands at 63-37 carrier record. 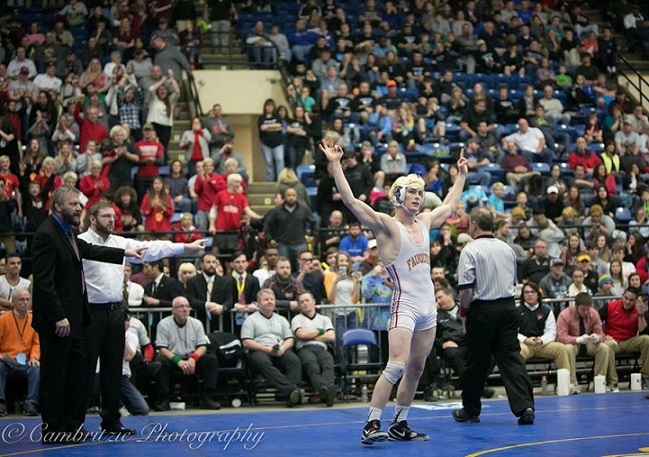 While in High School Flournoy had an overall record of 172-32 and was a 4X District Champion and a State Finalist placing in the state all four years. 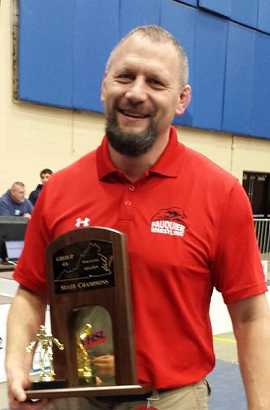 Fauquier Youth Wrestling is now open for registration. 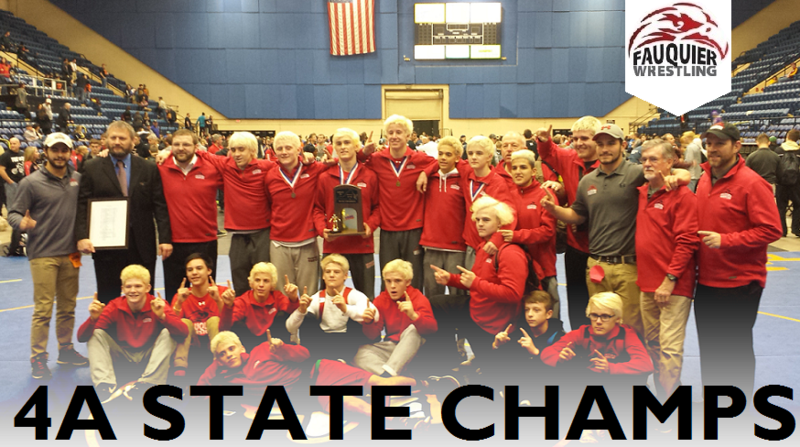 All Fauquier County boys enrolled first through eighth grades can join the Fauquier youth wrestling programs. 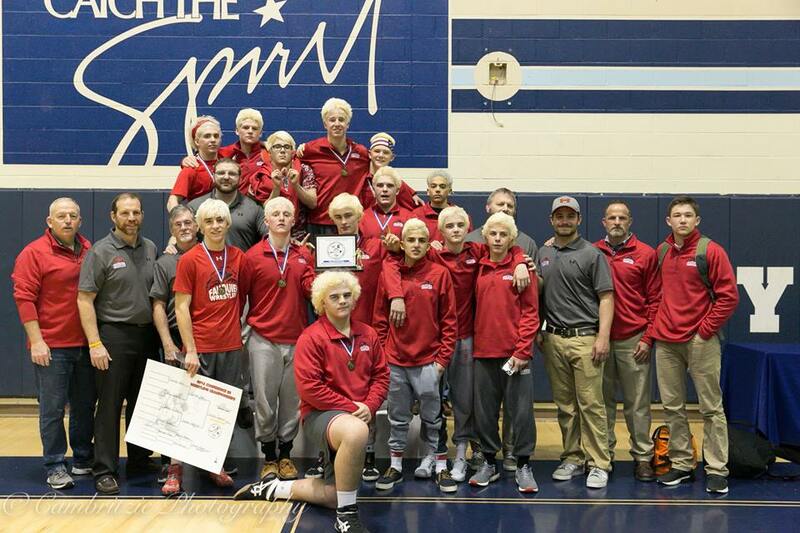 Fauquier has two wrestling teams: Recreational team and a Travel team. Registration link to the two teams are above and please note that both teams have different registration procedures. Please click on the image link (above) or [ HERE ] to proceed with your registration. Fauquier Youth Wresting is currently offering a free open mat program each Thursday evening from 6:30 to 8 for boys enrolled first through eighth grade. All are welcome to stop by any Thursday evening in the wrestling room of Fauquier High School to learn more about the sport. Come on in and try it out!!! Official online registration for our youth recreational program will begin in mid-October. 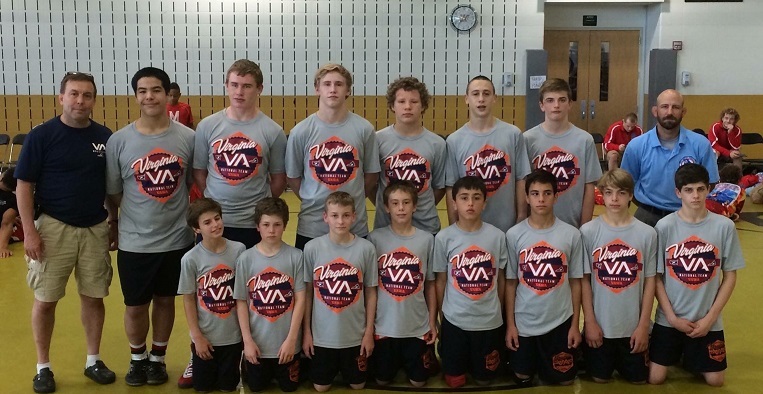 Fauquier Youth Wrestling is a winter league program which competes with the NVWF. Our "in-season" practices will begin early November. Wrestling is a sport that encourages positive attitudes, builds self-discipline while also developing physical strength, agility and coordination. Please check the youth recreational tab under teams for registration information beginning late October. Fauquier wrestling team has now gone public with the tentative wrestling schedule for the 2015-16 season. 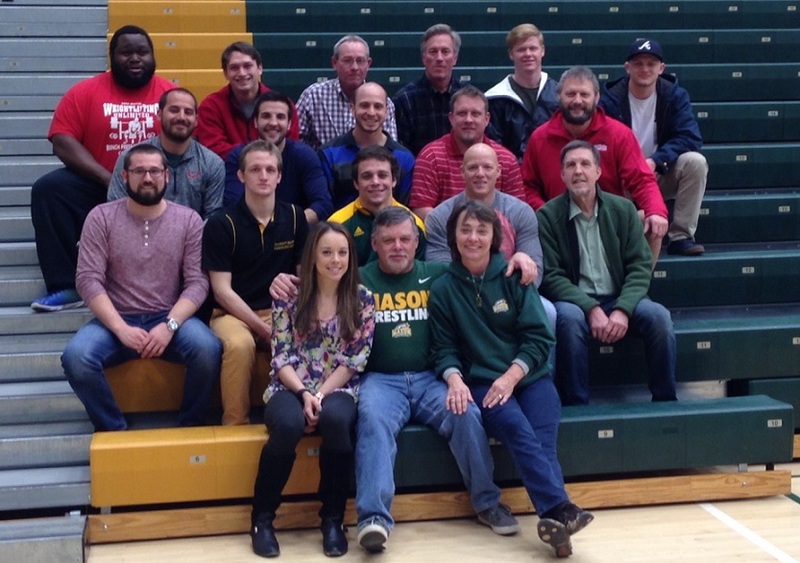 Currently the team will be participating in 8 tournaments one Quad meet and the Conference 22 Duals. 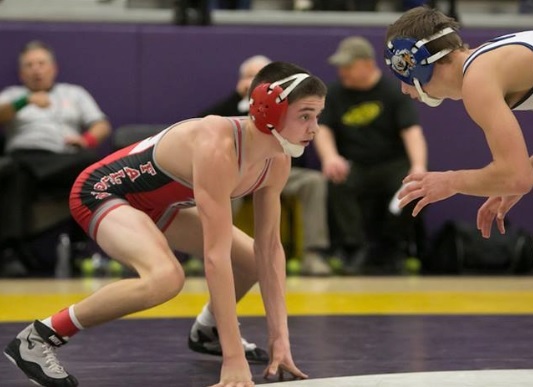 Fauquier plans to host the Falcon Duals on December 12th as the only home match at this time. Coach Fisher is looking into adding another home Dual during the season as well to bring season dates up to 11. Attending the Battlefield Duals and adding the USMC Ultimate Challenge again makes for a real high level schedule thus far. Check out the following link which will show what is current on the schedule. 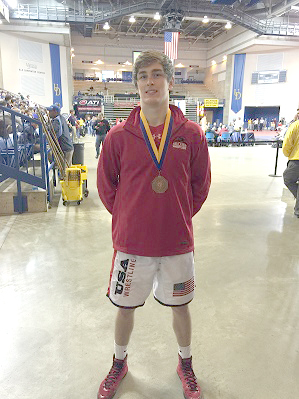 On June 3rd through June 6th Sam Fisher traveled with the Virginia Schoolboy wrestling team to compete in the National Freestyle and Greco Roman Duals at Warren Central High School in Indiana where 32 teams from across the country competed at this national event. 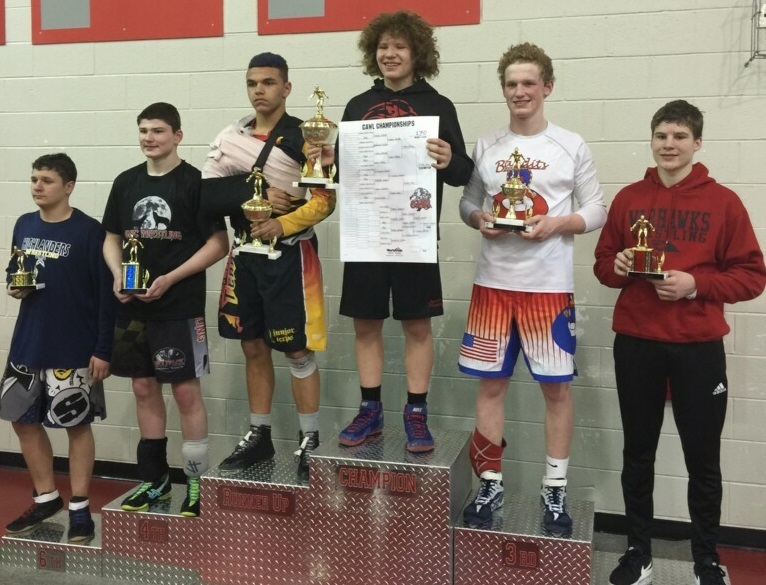 After winning the Virginia Freestyle and Greco Roman States last month Sam Fisher qualified for the Virginia Schoolboy dual team where he ended up posting an impressive 6-2 record in Freestyle and 4-4 in Greco Roman. The Virginia team went 5-3 in Freestyle for a sixth place finish in the Bronze/Copper pool and 14th over all. 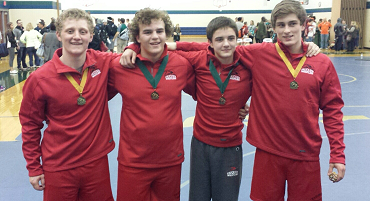 Then they followed that up by going 4-4 in Greco Roman for a third place in the Red/Blue pool and 19th over all. Great Job Sam and Team Virginia. Tournament will run up to the Championship Quarterfinals and Consolation Round of 8 today and will continue on Friday, April 3rd with the final rounds. Sam Fisher will be the only middle school wrestler that will be wrestling on Friday beginning at 2 pm. We will make an effort to update via Facebook as wrestlers win and advance.